Yoga and money sounds like an unlikely mix. But if you constantly make spending decisions that get in the way of a manageable, enjoyable life—anything from buying an expensive gift that you can’t afford to the “creep” of small purchases that become big debt—then you and your money are out of balance. The ancient Sanskrit term yoga literally means “to unite” and to “to control.” The different yoga disciplines are all designed to create a union between the mind, body, and spirit. Money problems are common when these three areas are out of balance. A healthy financial attitude is not about an excessive attachment to money, and nor does it require a vow of poverty. At either end of the spectrum, you still put more energy into thinking about money than into the relationships and actions that create your true happiness. Yoga asanas combine meditation with physical postures designed to balance the body’s energy centers (called chakras). Each chakra is associated with different aspects of emotional, physical, and spiritual well-being. While many people sign up for a yoga class in search of physical health, the mental and emotional benefits soon become obvious. The power of yoga to harmonize the “wheel” of energy circuits gives the physical and mental strength required to make the tough changes in your attitude and actions around money. The Root (Muladhara) chakra, at the base of the spine, regulates self-preservation instincts. If the habit of overspending makes it tough to pay rent, utility bills, or buy groceries -- the Root chakra is out of balance. The shopping buzz plunges quickly into guilty worry leading to another feel-good splurge and more debt -- until the anxiety is almost unbearable. When the Root chakra is balanced, you have the stability to meet your basic needs and enjoy luxuries from a position of financial health. The Mountain and Yoga Squat asanas align and open the energy of the Root chakra. Practicing these poses grounds you, enabling you to begin the most basic (and hated) element of money sanity—the budget. Part 2 of this article shows how to easily create and stick to a budget. 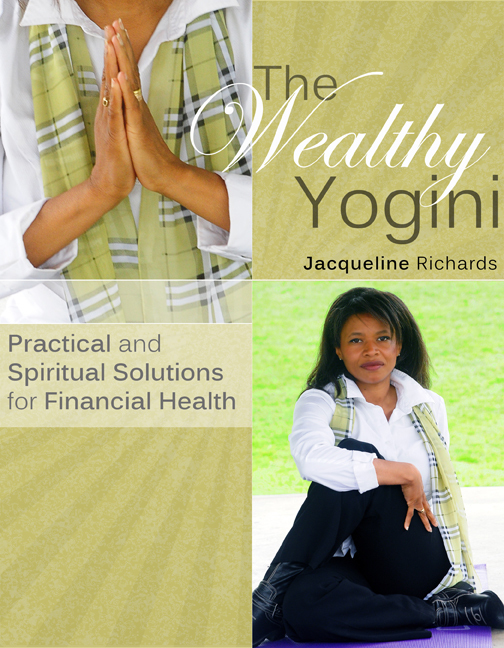 Previous articles in this series the emotional and physical stress that can act as barriers to financial wellness. Now it is time to discuss how balancing the throat chakra (vissudha) can help with making a will and communicating its contents to family members.